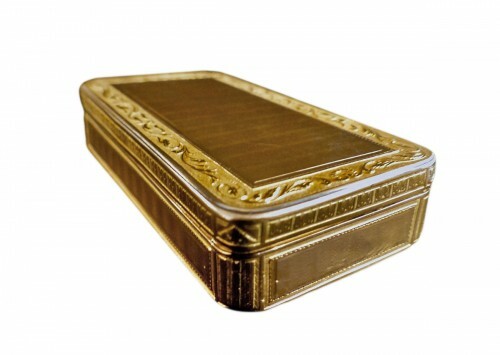 Rectangular gold box with cut sides. 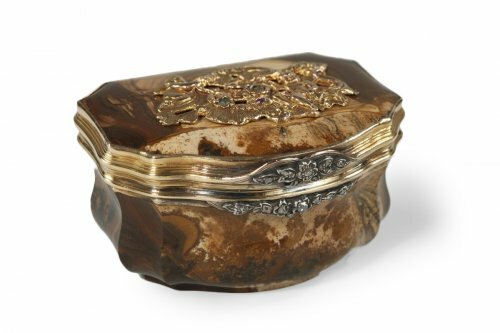 The hinged gold lid is adorned with concentric lines framed by a floral frieze of foliage on amati gold background. 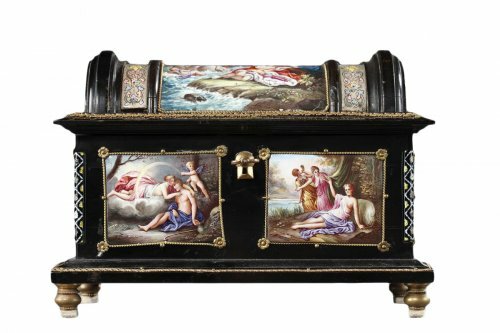 Bâte is composed of four panels adorned with with parallel stripes and in the angles with cut-off sides with pattern of draped urns. 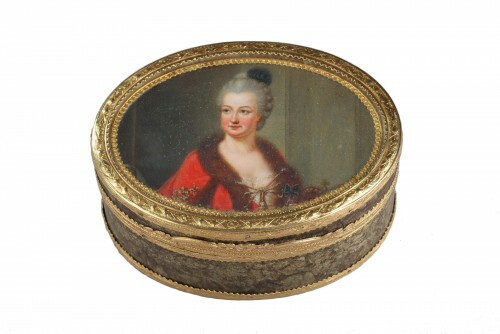 This type of snuff box is characteristic of the Neoclassic style that appeared at the end of the 18th century, breaking away from the rich, asymmetric Rocaille style. This box, with its geometric decoration and its carefully studied play with light, belongs to Neoclassicism. 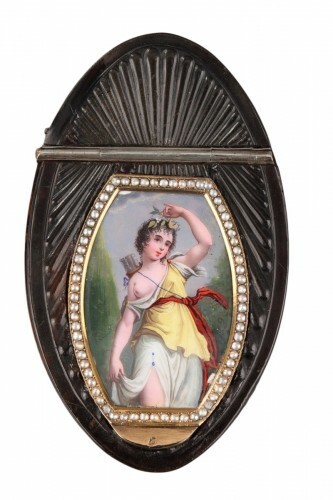 Guarantee: head of vieillard 1819-1838. 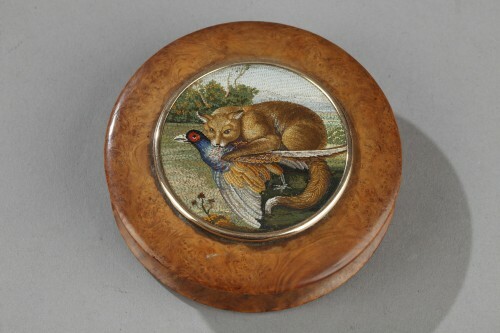 Goldsmith mark: Jacques Guillemot. Master in 1783. 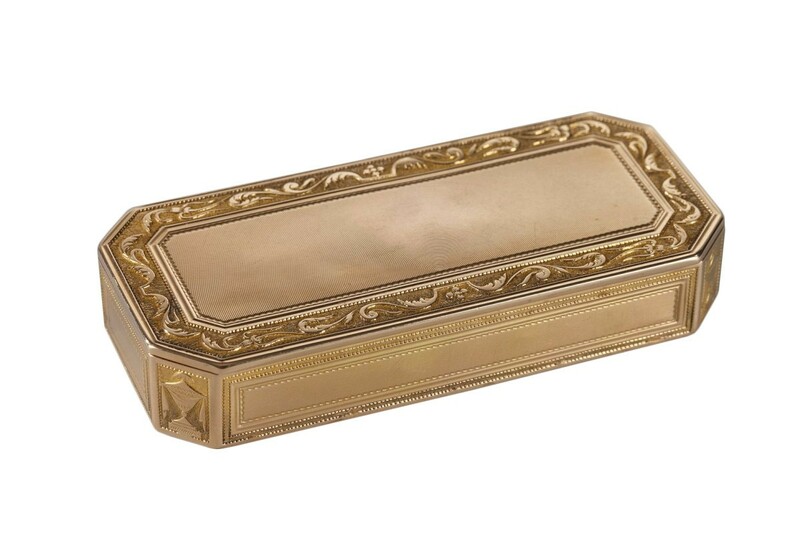 Period: Late 18th century - Early 19th century.